I found my training with the Connected Kids™ programme has changed my teaching and parenting style for the better and so undertook to become a Connected Kids™ trainer in order to teach the programme. I look forward to sharing how I integrate the training into my everyday teaching and parenting with you. The certified foundation (1-day) course is part of the award-winning Connected Kids™Worldwide Programme. you have no (or little) meditation experience, this course will help you teach your family, friend’s children, or those children with whom you work meditation and mindful techniques. 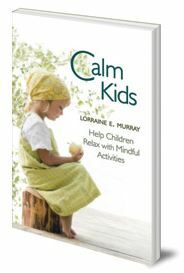 You will receive a certificate of attendance and a copy of Calm Kids by Lorraine E. Murray which will serve as your course manual. This 1-day course (9.30am to 5pm) runs in Nottingham. The cost is £199 but there is a 10% discount to participants on this occasion so the cost is £180. There is the option of a payment plan splitting the cost over two months. For further details and/or to book please click here to contact us. The Connected Kids™ programme was founded by Lorraine E Murray, an international meditation trainer with many years of teaching experience and a specialist in teaching meditation to kids with Specialist Educational Needs. Copyright © 2019 Wellbeing for Kids UK. Powered by WordPress. Theme: Spacious by ThemeGrill.